Three tribes are at war on the planet Gan, unaware that the sign of Christ’s birth on an unknown world--Earth--is about to appear in the heavens. During a bloody skirmish with Gideonite troops, Jonathan of Daniel spares Pekah, a young enemy soldier, gaining his trust forever. These two distant brothers from estranged tribes covenant with each other to end the war being waged by a self-proclaimed emperor, and soon discover the intentions of a far more dangerous foe named Rezon--a sinister general bent on ruling those he can bring into subjection and destroying all others. In the end, Pekah’s selfless bravery is the means by which all the tribes are united. But there are dissenters, and Rezon escapes a well-deserved fate. When the promised heavenly signs appear, will there be peace at last, or will the malefactors once again threaten the safety of them all? I was not sure what to expect with this book when I received it and when I read through the glossary and cast of characters I was afraid there would be too many people to keep straight. I'm so glad to say that I was wrong about that. The premise is fascinating: that there are other people on other worlds who are also God's children and for whom Jesus Christ is their Savior. Much like those people of the scriptures, these people are also waiting for the Savior's birth. The story flows well with excellent imagery and descriptions, as well as likeable characters. Faith and loyalty play a strong role as good triumphs over evil. I was trying to explain the premise to my husband and while it's fictional, it has elements of science fiction and fantasy, but isn't a novel from either of those genres. I've seen it compared to Orson Scott Card and Narnia and I can agree with those comparisons. Those who enjoy scripture stories will enjoy this book with its battles and tribes, romance, prophecy and miracles. I look forward to the next one in the trilogy. Thanks to Tristi Pinkston of Valor Publishing Group for the opportunity to preview this book. You can learn more about Daron D. Fraley here. You can purchase your own copy here and here. To find out what other readers have said about this book, check out the other tour stops here. ZAN-GAH author Allan Richard Shickman conceived Zan's adventure after thousands of miles of travel through mountains, deserts and forest land. The idea for this exciting story was born in a cave deep beneath the earth—in the company of hundreds of bats. Allan is an artist, teacher, actor, author, historian, gardener, and former Boy Scout. He has published articles in The Art Bulletin, Art History, English Literary Renaissance, Studies in English Literature: 1500-1900, Notes and Queries, and Colby Quarterly. He was also Art and Music Bibliographer for Shakespeare Quarterly. He has had many letters in various newspapers, including a dozen in The New York Times. Allan taught the history of art at the University of Northern Iowa for three decades. He now lives and writes in St. Louis. Thanks to Bonnie Lenz of Earthshaker Books for the opportunity to preview these books. You can find out more about them here. Look for reviews by the boy to follow at a later date. In the meantime, you can purchase your own copies here and here . When Rachel Balducci looks for material for her writing, she doesn't have to look far. Her subject matter can be found climbing through the window, hanging on to the edge of the roof, and always at the refrigerator. Here she chronicles the exuberant, awesome life of boys through conversations overheard, rules she's been forced to make, and the many episodes of boy behavior that continue to mystify mothers worldwide. From the care and feeding of her team, to travels out in public, to their wide-eyed adoration of Walker, Texas Ranger, this laugh-out-loud celebration joyfully explores the sweet and wild side of boyhood. A lot of fun, both the book and the boys! I have two, very lively boys of my own and I grew up in a family of all girls. Boys are different, so very different! This isn't a how to be a better parent book. It's a give yourself a break and laugh a little book. Rachel simply shares some delightful vignettes about her life raising boys. Some people will relate because they have many children, some will relate because they have boys, and some will relate simply because they know what it's like to be a parent. This is a short little book that can be read in one sitting, or it's something you can just pick up and read a bit or two. It truly is a celebration of the joys of raising boys. Available April 2010 at your favorite bookseller from Revell, a division of Baker Publishing Group. Thanks to Donna Hausler of Baker Publishing for the opportunity to review this book. You can learn more about Rachel Balducci here. You can purchase your own copy here . Attractively packaged with black and white illustrations, this whimsical yet authoritative book is a great gift for any etymologically fascinated individual. Use this book to reacquaint yourself with the English language, and you'll be compos mentis in no time. A sheer delight. Like many readers, I love words. I love discovering the origins of words and phrases. Here, I discovered that the origin of paparazzi means mosquito. How appropriate is that? Or how we use the term Al Fresco to mean "in the fresh air" but in Italy it's slang for "in prison". I was familiar with many of these words and phrases, but not how they came into such wide use. This is one of those fun books that you can just pick up on a whim and entertain yourself. It's a fast, easy read if you want to read it in one sitting. But, I see it placed on a shelf or end table for someone to pick up and peruse for an enlightening few minutes. Thanks to Julie Harabedian at FSB Associates for the opportunity to review this book. You can learn more about the book here. You can purchase your own copy here. In this inspiring new book, Lidia Bastianich awakens in us a new respect for food and for the people who produce it in the little-known parts of Italy that she explores. 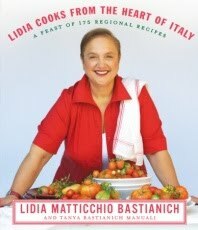 All of the recipes reflect the regions from which they spring, and in translating them to our home kitchens, Lidia passes on time-honored techniques and wonderful, uncomplicated recipes for dishes bursting with different regional flavors -- the kind of elemental, good family cooking that is particularly appreciated today. This is just a sampling of the many delight Lidia has uncovered. All the recipes she shares with us in this rich feast of a book represent the work of the local people and friends with whom she made intimate contact -- the farmers, shepherds, foragers, and artisans who produce regional cheeses, meats, olive oils, and wines. And in addition, her daughter, Tanya, takes us on side trips in each of the twelve regions to share her love of the country and its art. I don't regularly watch cooking shows, but I love Lidia's show when I can catch it on PBS. She's an absolute delight to watch, and her cookbook is just as great. I love this book as much for the commentary as I do the recipes. I have so many of them marked, it's going to take me awhile to get through all of them. But, my mouth waters just reading them. I love that each region is high-lighted, not only with recipes, but with lovely commentary about the area and the people. And each recipe isn't just written out with ingredients and instructions; Lidia shares definitions, explanations and anecdotes about how a dish or ingredient came to be created or used. Thanks to Caitlin Price of FSB Associates for the opportunity to review this book. You can learn more about Lidia here. You can purchase your own copy here. Annie is a college grad-student who is stumped about love. Her mom and dad are in the throes of a divorce, her teenage sister is obsessed with how her boyfriend makes her look, and her closest friend Jennah is on a continual ride of running off every guy she dates. Friendships, dating, romance, and marriage; it's all confusing to Annie until the day a white-haired stranger appears in her life. Glaen is an unusual professor with an unusual name. Her white-haired unconventional mentor guides Annie on a path of discovery that unlocks the secrets of real relationships in a world gone phony. By abandoning herself to learn, Annie discovers the mystifying affect of how learning to tell the truth changes everything in friendship, family, and love. The solutions Dr. Lybrand offers in this book will astound and free you to quit doing the very things that take away your ability to find the love and friendship you want. More importantly, you'll discover a fresh path to the possibility of greater connections with those you care most about. You'll want everyone you love to read this book...twice! I wasn't sure what to expect from this book. Was it a self-help book? Was it a novel? I discovered that it's a bit of both. Wanting to write a book about real relationships, Annie finds herself the only student in an odd class with an interesting professor. As the course unfolds, and using biblical principles and scripture, Glaen mentors and guides Annie to important ideas, questions and answers to age old questions about dating and marriage. As Annie does a lot of observing of singles and couples, she discovers questions, lies and subsequent truths, all of which can cause honest, thought-provoking reactions to a reader. While the ending is a bit contrived, I think there is something for everyone in this little story, whether you're single and dating or married. It's a fairly short book, but I think there are layers that will come out each time you read it. Thanks to Audra Jennings at The B&B Media Group and for the opportunity to tour this book. You can learn more about Fred Lybrand and the book here. You can purchase your own copy here. This was one I really looked forward to reading. It sounds like something I normally would enjoy. However, I've gone back to it several times over the past couple of months and I just can't get into it. There were bits of wisdom and insight here and there, but it's just not a book I connected with. The writing is good, but circuitous and rambling. Perhaps my children are too young, perhaps it's just me and where I am in life. I don't know. There are many other good reviews out there, and I have no doubt that many women will find this inspirational and uplifting. Thanks to Anna Balasi of Hatchette Books for the opportunity to review this book. You can learn more about Katrina Kenison here. You can purchase the book here. After losing his wife to breast cancer, Paul Stutzman decided to make some big changes. He quit his job of seventeen years and embarked upon a thru-hike of the Appalachian Trail, a 2,176-mile stretch of varying terrain spanning fourteen states. During his nearly five-month-long hike, he battled brutal trail conditions and overwhelming loneliness, but also enjoyed spectacular scenery and trail camaraderie. With breathtaking descriptions and humorous anecdotes from his travels, Stutzman reveals how immersing himself in nature and befriending fellow hikers helped him recover from a devastating loss. Somewhere between Georgia and Maine, he realized that God had been with him every step of the way, and on a famous path through the wilderness, he found his own path to peace and freedom. Normally when I discover that a book has no negative reviews, I'm very skeptical. I know how unrealistic it is to think that every reader will adore every book the same way. When it comes to Hiking Through, however, I can understand why every review I've seen, so far, has been 4 or 5 stars. It's terrific. I could not put this book down. To say it was engrossing is an understatement. It was absolutely enthralling. Reading Hiking Through was like sitting with Paul and listening to him tell his story. He's a captivating, articulate, storyteller and his writing style is easy and comfortable. There are no pretenses, no airs. He's straight-forward about his experiences, he's honest in sharing his grief over losing his wife, he's open about his faith in God, and he paints a fascinating picture with his words. I enjoyed his ability to weave his life experiences into the account; they weren't digressions, they were natural additions to the flow of the story. Paul is honest about his regrets and realization that he needed something to help him move past his grief and find himself and his purpose again. On the trail, he realized that his purpose is to share his story and to remind people that God is very much aware of them and not to take their wives and families for granted. This is such an important message and one that is easy to overlook. I loved the commentary, I loved the descriptions. I found hope in so many ways, one of which was in the assurance that there are so many, many good people in this world and that when we judge others from appearance or first impressions, we often miss the opportunity to know wonderful, kind people. Paul shares his experiences with those he met and traveled with on the trail, their camaraderie and friendship, and the joy in finding trail magic. I think that if we could apply the concept of trail magic and helping others, into our own lives, we would be so much richer and happier. I wish that I'd read this with a high-lighter. There were so many times I read a passage or thought that I wanted to mark and remember. I know that I will definitely reread this and next time I will have that high-lighter handy. I just have to wait until my 11-year old son finishes reading it first! Thanks to Dorothy at Pump Up Your Book Promotion for the opportunity to review this book. You can learn more about Paul V. Stutzman here. You can find additional tour stops and reviews here. You can purchase your own copy here. Teeming with intrigue, pathos, and humor, Venetia Kelly's Traveling Show explores two of Ireland’s great national passions: theater and politics. Writing with his signature mastery and lyrical prose, Frank Delaney once again delivers an unforgettable story as big and boisterous as the people and events it chronicles. Another one where my review is in the minority! I really struggled with this one. I made it well over half way through the book. I just couldn't finish it. I think that Frank Delaney is probably a terrific storyteller, and I love a great story. His prose is certainly lyrical and definitely Irish, which is normally something I enjoy reading. But, ultimately here, I didn't care for the characters. The set up for this story took too long and there were lots of characters to keep track of and way too many politics. All of his digressions, which many people loved, I found annoying. I wanted to find out what happened next, but unfortunately the rambling, circuitous route it took to get there was just a bit too windy for me. There are certainly many glowing reviews out there for this book, and if you've enjoyed Frank Delaney in the past, I'm sure you'll enjoy this one too. I had great expectations for this one, but unfortunately it didn't move me enough to warrant finishing it. Thanks to Lisa at TLC Book Tours for the opportunity to review this book. You can learn more about Frank Delaney here. You can check out more reviews/stops on the blog tour here. You can purchase your own copy here. Stephanie is leaving an abusive marriage and Jared is a recent widower whose wife died in an accident: an accident in which she was the drunk driver. As they each try and heal from their disastrous marriages, they form a friendship and fall in love. But, Stephanie's husband isn't about to let her go without a fight, one she may not survive. This is quite the engaging story. I picked it up and read it in a couple of hours. Like many LDS stories this one wraps up neatly, but not so predictably as to be anti-climactic. I also liked the fact that while it wasn't overly preachy it also explored the notion that relationships are eternal, both before and after this life on earth. Such a comforting thought. Little inconsistencies popped up here and there, and at times both Jared and Stephanie seemed a little too perfect, but this is a compelling story. There's a ring of truth to it, and I applaud Kimberly and the way she has portrayed what is a sad reality in our world: that far too many women suffer in abusive marriages. A terrific debut novel that I can easily recommend. I look forward to reading more from Kimberly Job. Thanks to Valor Publishing Group for the opportunity to review this book. You can learn more about Kimberly Job here here. You can purchase your own copy here and here . To find out what other readers have said about this book, check out the other tour stops here. If you're tired of being sick, tired of taking expensive drugs-or just plain tired-this book will show you how to shape your well being with proven, practical techniques. This would be a great book for someone who is just getting interested in holistic, alternative healing. Dr. Roberts provides a terrific base from which to start and gives us a basic understanding of the human body and not only how it works, but how it responds to both good and poor care. Good health habits and food choices are important in staying healthy and that is reiterated here. Dr. Roberts really advocates making wise choices in our health care and discusses different forms of alternative healing and provides additional resources and recommended reading. I firmly believe that all medicine needs to work together. I don't think that Western medicine has all the answers, just as I don't think that holistic remedies work for every condition. For instance, my husband is a chiropractor, but our son has a cardiologist. However, for someone who is interested in holistic alternatives, this is a wonderful starting point. Thanks to the author and Bostick Communications for the opportunity to review this book. You can learn more about Carol Roberts, M.D. here. You can purchase your own copy here. FBI special agent Nick Bradley has seen his share of kooks during his fifteen years with the Bureau. But Rachel Sutton is an enigma. She seems normal when she shows up at the FBI office in St. Louis--until she produces a tattered Raggedy Ann doll she found and tells him she thinks something is wrong because of a strange feeling of terror it gives her when she touches it. Nick dismisses her, only to stumble across a link between the doll and an abducted child, setting in motion a chain of events that uncovers startling connections--and puts Rachel's life on the line. Filled with palpable suspense and a touch of romance, In Harm's Way is the final installment of the thrilling Heroes of Quantico series. The third and final book in the Heroes of Quantico series, I think this one was my favorite. When Rachel shows up in his office with an account of her strange experience with a worn, lost doll she found in a parking lot, Nick is ready to dismiss her. But, something stops him and he listens. From that point, the ride is thrilling and suspenseful. Rachel and Nick are likeable, endearing characters you care about. Coop and Mark, the other Heroes of Quantico appear and aid Nick in his search for answers. Like the others, I read it in an evening. It's fast-paced, thrilling and not completely predictable. Irene's gift of character repartee and conversation is again apparent. Nick is a strong Christian and Rachel, not so much, although she finds her faith renewed. A terrific conclusion to the trilogy and definitely recommended. Each book stands alone, although reading them in order does bring a extra depth of understanding. Available April 2010 at your favorite bookseller from Revell, a division of Baker Publishing Group. Thanks to Donna Hausler of Baker Publishing for the opportunity to review this book. You can learn more about Irene Hannon here. You can purchase your own copy here . But Linda is unaware of Josie--and living an idyllic life within the Amish community. The bishop's grandson, Stephen, is courting her and she hopes that he will propose soon. When her birth mother comes to Paradise, Linda finds herself unexpectedly drawn to Josie's world. Meanwhile, her adoptive parents--and her Amish beau--are trying to understand how this interruption in Linda's life could possibly be God's will. As new relationships begin and old ones are tested, no one's life will remain the same. In the process of losing and letting go--Linda realizes whose daughter she really is. And as only God can do, something more powerful and far more beautiful is forged within the Daughters of the Promise community...hope. I haven't read Beth Wiseman before and this is the fourth installment in her Daughters of Promise series. While it can stand alone, I think it would be better for a reader to have read the previous books. There are many characters who are apparently recurring from the earlier books and their appearance would have more impact if one understood their significance to Linda and her family. I normally enjoy Amish fiction, but there wasn't much about this book that stood out or was special. Even though it touches upon serious subjects like adoption and cancer, it was light reading. In short, if you've read Beth Wiseman before and liked her, you will most likely enjoy this book as well. Frank Delaney is the author of the New York Times bestselling novels “Ireland,” “Tipperary,” as well as “Simple Courage: The Story of S.S. Flying Enterprise,” which was named one of the 10 best books of 2006 by the American Library Association. His novel “Shannon” (Random House, March 2009) tells the story of a young and once-brilliant American chaplain, shell-shocked in World War One, who travels in search of his family roots. 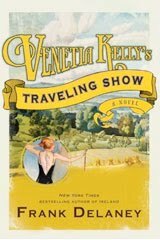 His next book, “Venetia Kelly’s Traveling Show,” will be released February 2010. A former judge of the Booker Prize, Delaney enjoyed a prominent career in BBC broadcasting before becoming a full-time writer. He was born in Tipperary, Ireland, and now lives in New York and Connecticut with his wife, Diane Meier. Thanks to Lisa at TLC Book Tours for the opportunity to preview this book. You can learn more about Frank Delaney here. You can check out more reviews/stops on the blog tour here. You can purchase your own copy here. Look for my review to follow at a later time. I haven't finished it yet! But when Kristie’s life is endangered, she suspects there’s a connection to the mysterious key. While solving the mystery (and staying alive), Kristie must decide whether her lawyer boyfriend, Todd Reasoner, is really right for her....or if Jon Clarke Griffin, the new local man she’s met, is all he seems to be. Mystery, romance, and a beautiful Amish settling....just the thing readers are clamoring for. A bit different take on traditional Amish stories, this was a fast, easy read. While I found much of the premise implausible, this was still an appealing story. I would have thought that Kristie could have made connections between the robbery/attacks sooner, and I kept wondering why she never reported any of it to the police. Her new boyfriend, however, saves the day in true heroic fashion. I would have loved more character development but these characters still kind of grow on you. What I did enjoy were the conversations, especially between Kristie and Jake, the disabled son of the Amish family with whom she boarded. The discussions about the differences between the Amish faith and Christianity were fascinating. A light, escapist read. Easily recommended. This is a reprint/update of The Key, originally published in 1998. Thanks to First Wildcard and Harvest House Publishers for the opportunity to review this book. 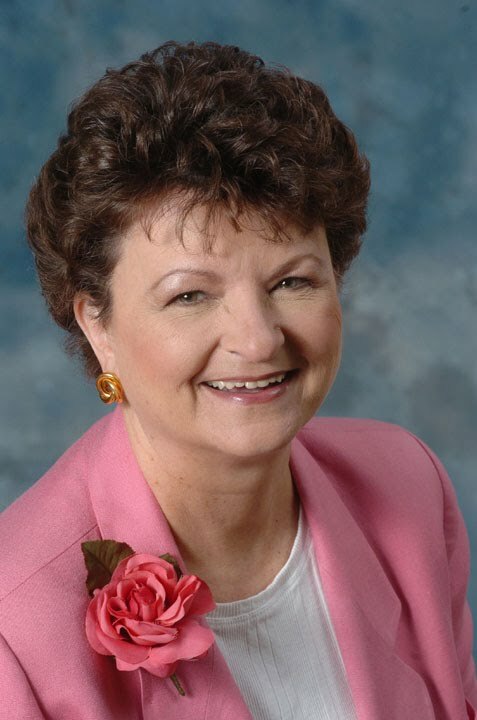 You can learn more about Gayle Roper here. You can read the first chapter here. You can purchase your own copy here . Gayle Roper is the award-winning author of more than forty books and has been a Christy finalist three times. Gayle enjoys speaking at women’s events across the nation and loves sharing the powerful truths of Scripture with humor and practicality. She lives with her husband in southeastern Pennsylvania where Gayle enjoys reading, gardening, and her family. I love books that make me laugh out loud and Secret Sisters does just that. Hysterically funny, this is story that gives new meaning to the phrase, Relief Society Presidency. Ida Mae, genuinely concerned about the welfare of a young family in her ward, finds herself on a stakeout in the woods with her nephew, Ren, and her Relief Society counselors Arlette and Tansy. Ren has a penchant for designing/inventing spyware and Ida Mae finds herself caught up in his enthusiasm. Soon, she is placing a surveillance camera designed as a refrigerator magnet and planting bugs. As the story unfolds however, Ida Mae discovers that there is more to the situation than simple financial troubles, and she and the other sisters find themselves caught in a wave of intrigue and investigation. With quirky characters and a completely implausible premise, it's a perfect escape book and one you won't want to put down. It's also a terrific, if unorthodox look into the inner workings of an LDS Relief Society! I'm anxious for the next book in the series. Thanks to Tristi Pinkston and Valor Publishing Group for the opportunity to review this book. You can learn more about Tristi Pinkston here. You can purchase your own copy here. To find out what other readers have said about this book, check out the other tour stops here. Ida Mae Babbitt, president of the Omni 2nd Ward Relief Society, didn't mean to become a spy. But when visiting teaching stats are low and she learns that one family under her care is in financial trouble, she'll do whatever it takes to make sure they have what they need. If that includes planting surveillance cameras in their home and watching them from a parked car in the woods, well, isn't that what any caring Relief Society president would do? With the help of her counselors Arlette and Tansy, Ida Mae soon learns that there's more to the situation than meets the eye. It's all in a day's work for the Relief Society. Tristi Pinkston is a stay-at-home mom, homeschooler, media reviewer, obsessive blogger, editor, author, and headless chicken. She's married to her first and only boyfriend, Matt Pinkston, and together they have four adorable children--Caryn, Ammon, Joseph, and Benjamin. Tristi is a regularly featured presenter at the annual LDStorymakers Writers Conference and enjoys helping others learn how to fine-tune their writing skills. She also gives presentations on literacy, the Hole in the Rock pioneers, and the importance of honoring the talents you've been given. Tristi is the author of three historical fiction novels and one contemporary mystery. Thanks to Tristi Pinkston and Valor Publishing Group for the opportunity to preview this book. You can learn more about Tristi Pinkston here. You can purchase your own copy here. To find out what other readers have said about this book, check out the other tour stops here. **Edited to add: You can read my review here. Charge nurse Erin Quinn escaped personal turmoil to work on the peaceful California coast. But when a hazardous material spill places Pacific Mercy Hospital on disaster status and stresses staff, she’s put to the test. And thrown into conflict with the fire department’s handsome incident commander, who thinks her strategy is out of line. Fire Captain Scott McKenna has felt the toxic effects of tragedy; he’s learned to go strictly by the book to advance his career, heal his family, and protect his wounded heart. When he’s forced to team with the passionately determined ER charge nurse, sparks fly. As they work to save lives, can they handle the attraction kindled between them . . . without getting burned? Erin and Scott each have their own set of baggage to bring to their new relationship and, predictably, work through that baggage. What I appreciated was the realistic portrayal of very human feelings. Erin can't forgive her father and Scott has lost his faith in God, after the tragic deaths of his father and sister. As in most Christian fiction, lost faith is rediscovered and relationships mended. Candace's knowledge and experience of the inner workings of an ER and hospital are apparent and I found the portrayal of the effects of a hazardous material spill particularly fascinating. The second in the Mercy Hospital series, this one stands alone well. Erin has a minor role in the first book and references are made to Claire, the heroine of that book, but it's not necessary to have read the first one before reading this one. Another light, easy and enjoyable read from Candace Calvert. Thanks to First Wildcard and Mavis Sanders of Tyndale House Publishers, Inc. for the opportunity to review this book. You can read the first chapter here. You can purchase your own copy here .